All the rooms in our Bed and Breakfast have private bathroom, fresh set of linen, television, air conditioning, breakfast, parking, independent entrance, daily cleaning. It is easy to reach it from the Motorway, Venice - S. Lucia and Venice - Mestre Railway Stations, Venice - Marco Polo International Airport and Venice - Treviso Airport. 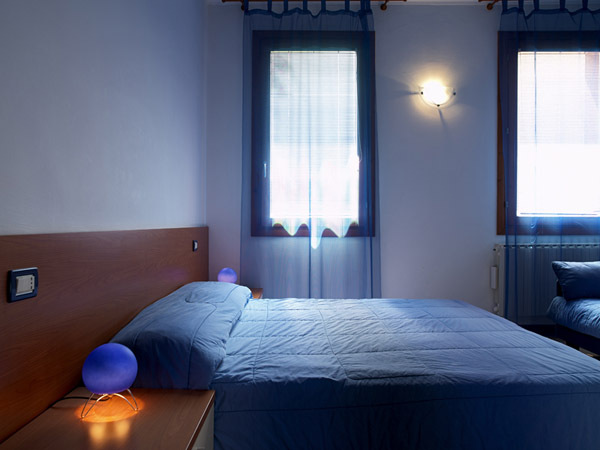 The Bed and Breakfast "Al Giardino" is a great departure point to visit the Historic Centre of Venice, the smaller islands of the lagoon and also Cavallino and Jesolo beaches, Eraclea beach and the Palladios villas of Riviera of the Brenta. From our Venice Bed and Breakfast with public buses you can easily reach the districts of the Metropolitan Area of Venice. Our friendly hospitality gives you the possibility to have breakfast with us and then organize your stay as you like. We offer a relaxing and quiet atmosphere together with a warm welcome. We are at your disposal for all the tourist, gastronomic and oenological information you may need whilst visiting Venice. We do our best to keep the rooms cleaned and functional. 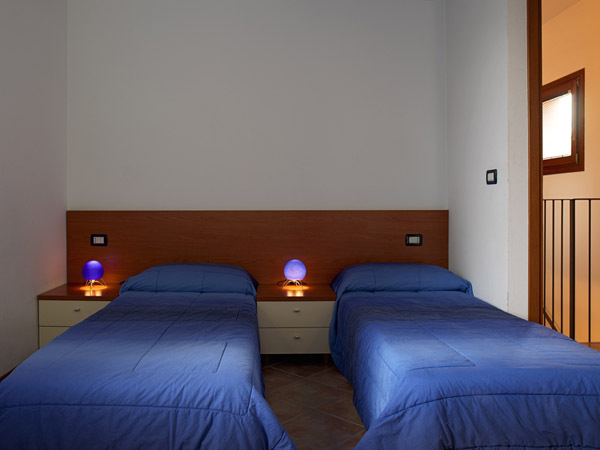 And last bus no least, in the bed and breakfast Venice Al Giardino we offer a service with an interesting relationship quality price: even though you will find our prices very reasonable, rest assured that our level of quality is not compromised! You can reach Venice or the centre of Mestre with the public bus service. The bus stop is a few meters from our premise. The bus stop, right in front of our bed and breakfast is also well connected to Venice - Santa Lucia and Venice - Mestre Railway Stations, to Venice - Marco Polo International Airport and Venice - Treviso Airport. If you wish to arrive by car, you can reach Mestre Tangenziale (no-toll motorway) and the A4 motorway in just a few minutes. Rooms Our bed and breakfast has recently been refurbished. All the rooms have private bathroom, TV and are completely furnished. The frescoed ceilings and the furniture are blue. All the rooms face south and they enjoy the sunlight for the majority of the day. Breakfast We offer an Italian breakfast: coffee, cappuccino, milk, cream, tea, juices, yogurts, cookies, corn flakes, croissant, cakes, bread, jams and "nutella"! Parking You can leave your car in our private parking in the garden. The parking space is wide enough to cater for big cars. We do not charge extra for parking. Life in our bed and breakfast You can check in usually after 12. 00PM, but if you wish you can leave your luggage and collect your keys even if you arrive between 8. 00AM and 12. 00PM. We can arrange different arrival schedules according to your reservation requests. We also provide you with the parking and bed and breakfast entrance keys together with your room keys, so that you can be totally autonomous and independent during your stay. Where is the Bed and Breakfast "Al Giardino" located? Venice City is divided into three different areas: the Historic Centre, the smaller islands of the lagoon and the mainland districts. Our Bed and Breakfast "Al Giardino" is located in one of the districts of the mainland (Venice Favaro); it is very near to the Historic Centre of Venice and to Mestre downtown. You can enjoy the vicinity of the old city avoiding high costs and unnecessary difficulties. In fact, you cannot visit Venices historic centre by car, you can visit it only on foot or with the local water transport service. A Bed and Breakfast, often referred to as a B&B, is a lodging typically operated out of a large single family residence where guests can be accommodated at night in private bedrooms and where breakfast is served in the morning. with the payment of 50% of the total amount with a postal order. Under the Italian Civil Laws, the Regulations of the IAH (International Hotel Association) and of the FIAVET (International Federation of Travel Agents), cancellations will be accepted without charge if communicated via email or fax to the B&B "Al Giardino" at least 15 days prior to your arrival date during low season, and 30 days prior to arrival date in high season. If one fails to comply with these regulations the whole amount of the stay will be charged. From Venice - Historic Center, Venice - Santa Lucia Railway Station, the Port (Venice Passenger Terminal), go to Piazzale Roma where you can take bus n. 19, 84 or 4 and get off at the 3rd stop of Via Altinia in Venice - Favaro district: our Bed and Breakfast Al Giardino is just in front of the bus stop (the journey lasts approx. 15 minutes). From Venice - Mestre Railway Station you can take bus n. 15 and get off in Piazza Pastrello in Venice - Favaro district, then change bus and take n. 19, 84 or 4 and get off at the 2nd stop of Via Altinia: our Bed and Breakfast Al Giardino is just in front of the bus stop (the journey lasts approx. 20 minutes). From the Tangenziale (no-toll motorway) and Motorway take Mestre exit "Terraglio" and then follow direction Venezia. Turn left at the 2nd traffic light (Venice - Favaro direction) and when you reach Piazza Pastrello, turn left in Via Altinia. You will find our bed and breakfast after 500 meters just in front of a petrol pump (the journey lasts approx. 10 minutes). From Venice - Marco Polo International Airport take bus no. 15, get off in Piazza Pastrello in Venice - Favaro district, then change bus taking n. 19, 84 or 4 and get off at the 2nd stop of Via Altinia: our Bed and Breakfast Al Giardino is just in front of the bus stop (the journey last approx. 10 minutes). From Venice - Treviso Airport take shuttle "Eurobus Service ATVO" direction Venice. When you arrive at the Historic Centre of Venice (Piazzale Roma) take bus n. 19, 84 or 4 and get off at the 3rd stop of Via Altinia in Favaro district: the Bed and Breakfast Al Giardino is just in front of the bus stop (the journey lasts approx. 15 minutes). The Venetian public transport system is owned by a company called ACTV who run buses in the mainland and vaporetti (waterbuses) in Venice island. Other than one way tickets you can purchase time tickets valid both on land buses and on vaporetti as far as the islands of the lagoon. You can choose between a 24 hour and a 72 hour ticket, respectively at Euro 10, 50 and Euro 22, 00. The time will start from the moment of the first stamp inside the bus and not from the moment of purchase. These tickets include in the price the transportation of a small hand luggage. You might want to consider also the VeniceCard ticket that has duration of 24, 72 hour or one week including land and water transportation, entrances in the civic museums and the local casinos and use of the public toilettes.